As the saying goes, start them young. Well, it’s true — a lot of habits formed during childhood get carried over as we grow — and some of them we never lose. 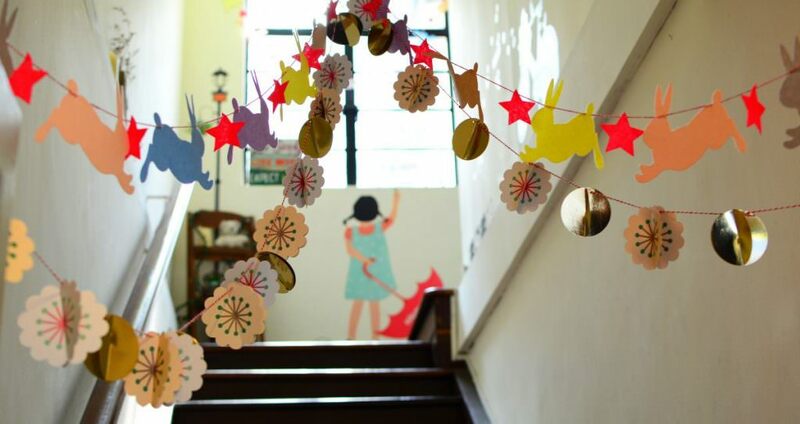 As professionals who work with children most of the time, we’ve gathered some tips from our friends, colleagues (and of course, ourselves) on how to reduce waste in the classroom or how to have a zero-waste classroom. No more short pencils with pencil extenders.It’s convenient for us to just throw away pencils once they get too short to grip. A short pencil does not only put a strain on our little ones (however small their hands are), it also changes the way they write, besides most children also won’t bother using things that look used up. Pencil extenders let you use your short pencils down to the very last letter (or dot.) These can be found in some art stores or bookstores, and we carry them as well. 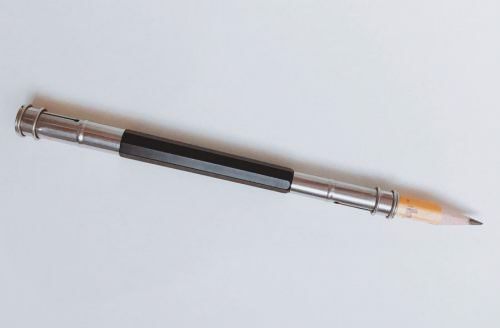 Just load your short pencil into one of the metal ferrules on each end of the extender, lock it in place, and you now have a long, easy to grip pencil. Marker? Hardly knew her. Most schools use whiteboards and as educators we go through markers pretty fast! Whatever happened to the days when we would buy boxes and boxes of chalk (which our titos would jokingly tell us, walang pasok, basa ang blackboard!) — if you really need to use markers, please opt for the refillable ones (sans the cartridges – those really can’t be recycled). Our favorite would be Pilot — they offer ink refills in glass jars which you can just drop onto your marker’s tip from the inside using the pipette supplied. They also have refills for permanent markers. If the tip goes bad (i.e. dries up, gets blocked), just take the tip out, soak it in alcohol overnight and it’s good as new. Bye-bye broken crayons. Here’s another problem. Working with children, and children with special needs at that, everyday I have to face getting my new crayons broken into pieces. Some kids just like doing it. Other times, it’s an oopsie and can’t be helped. What we like to do is to melt broken crayons down then pour them into silicone ice molds (or just arrange them in oven-safe molds and pop them in the oven) Ikea has these stick ice molds (were actually meant to be for making ice that fit inside narrow-mouth bottles) — just make sure that the shapes are ergonomic to hold. Another technique is to recycle milk tea straws into molds, just cut them into appropriate lengths, melt your crayons, and pour them in. They should pop out pretty quick once you push. You can even give these away as gifts for less fortunate children. Getting stuck on glue . Yes, it says non-toxic. But PVA glue (aka white glue, or school glue) actually only biodegrades under specific conditions. So if you’re just going to use glue on something that wouldn’t need to last forever, or going to get thrown away at some point, such as paper activities and worksheets, please use rice paste. You know, the cheap ones in colorful tubes? These are usually made of rice (the same stuff they use for Japanese paper art, you know those things last forever)– but still make sure to read the label. For a completely zero-waste alternative, you can also make your own rice glue simply using rice, water and clove oil. Both sides now. Encourage your children to use pens that don’t mark the back of the pages. That way, they can write on both sides of each page of their notebooks. Buy notebooks with quality pages, and pens that don’t bleed. Also, use your notebooks down to the very last leaf — pages that are left blank this quarter can still be used in the next. Not all notebooks are the same. If you’ve been to a beach cleanup, you’ll be surprised to see a couple of spiral notebook spines among the rubbish. Yes, these things make it to the ocean and into the mouths of hungry sea friends. Choose refillable binders, or even go the extra step and choose a notebook with recycled covers. When it’s time to throw away your notebooks, please remove spirals from them and figure out a way to recycle. Staples are not a staple. Staple-free staplers are a thing now! Smaller ones can bind about 5 pages, while bigger ones can bind 10. If it’s just a couple pages of documents that are not for official use, we urge you to go staple-free. Not only do staple wires get eaten by animals, little feet may also step on them. If a staple-free stapler isn’t an option, use paperclips or binder clips instead, at least you can reuse them. Tape. Use masking tape, kraft tape or washi tape. Scotch tape may be transparent, but it also goes to the landfill without biodegrading. 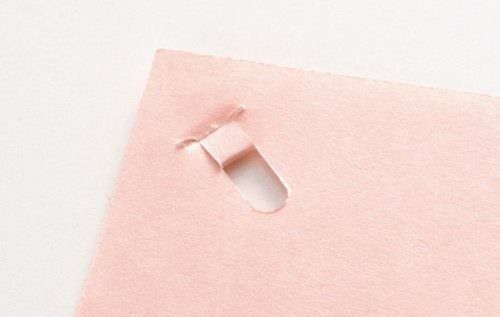 If it’s just a piece of paper that’s going to be stuck to a wall, use Blu-Tac. Not only is it reusable, it also won’t damage the paint on your walls. For our packaging we only use kraft tape — both gummed (water activated) and sticky. You’ll be surprised to know that they aren’t expensive! Measuring tools. Opt for stainless steel rulers and other stainless steel tools. Plastic tends to break and get lost, but since stainless steel tools are more sturdy (and cost more), you’ll see yourself taking more care of them and lasting a lifetime. Highlighters! Did you know that highlighter pencils exist? Not only do we go through dozens of highlighters every semester, these empty shells would also be really difficult to recycle. Highlighter pencils sharpen to a fine point, no more drying out, no more useless empty highlighters. Yellow dermatograph pencils are also an alternative. One pen at a time. Pens dry up much faster once opened, so having more pens open at a time would just mean more pens to throw away faster. We would use only one pen for every color that we need, and choose refillable pens over disposable ones. Do you have other tips and tricks for reducing waste in the classroom that you would love to share? Leave a comment below and we’ll read into it.